Hadagery is the first in the series, with the book of Elysium. There are three more books planned in the future. Each world he will be someone different, having a whole new journey, and obstacles standing in his way. For updates check out my Facebook and Twitter page, please like page, and rate my ebook. 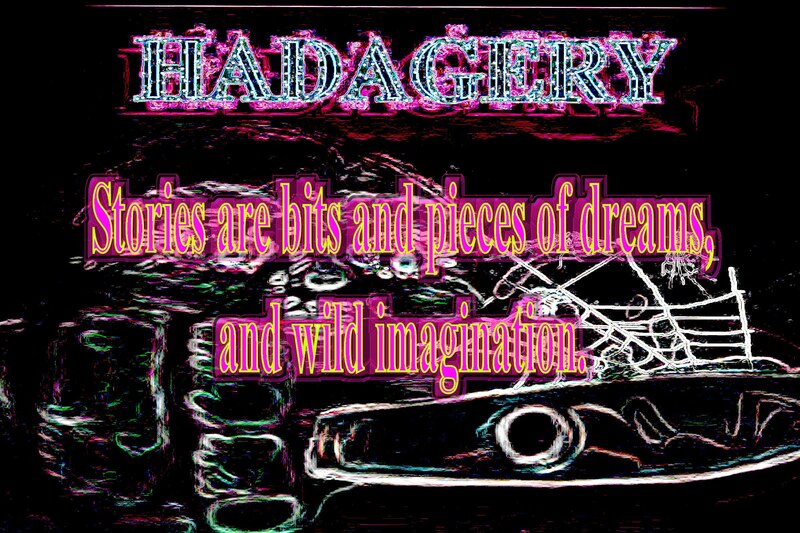 Hadagery is the second in the series, with the book of Canaan. There are two more books planned in the future. Each world he will be someone different, having a whole new journey, and obstacles standing in his way. Creee...eeee..eeee..ee. The door behind Hadlin creaked open. "That's impossible." He thought, "I barred that door shut." Then turned around just in time to hear it click shut again. Standing just inside the entrance was a blackened thing. Humanistic in shape. However what it could be was left up for question. Since it was covered in sludge. The grisly thing is that the creature was dragging a limp woman by the hair of the head. Hadlin could barely whisper, "Mom..." It dropped the body. Then stalked towards Hadlin. Was he going to die? What is going on? Taking a second look the creature, and the dead woman were gone. Just like awaking from a bad dream. titles to the left are no longer available. Macabre is a compilation of short stories. Stories I've written throughout the years, but do not intend to publish. Randomly I share my stories with those who care to read them. Constantly adding new short stories. So many stories in my head and not enough time to write them all down.